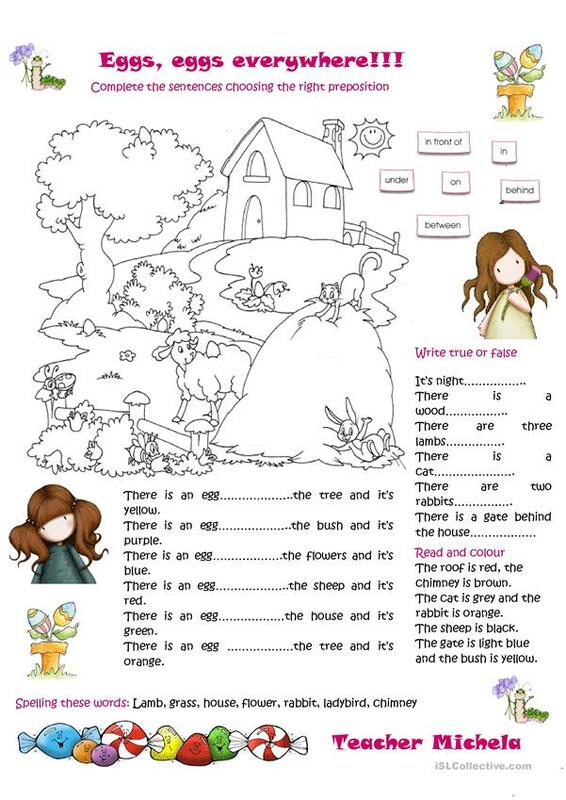 This worksheet has different activities:1- complete the sentences choosing the right preposition,2- read and colour, 3-write true or false,4-spelling the words given. I hope it can be useful for your class! The above downloadable printable is recommended for high school students, elementary school students and students with special educational needs, learning difficulties, e.g. dyslexia at Elementary (A1) and Pre-intermediate (A2) level. It is aimed at consolidating Prepositions of place in English, and was designed for developing your pupils' Spelling, Reading and Writing skills. It is about the theme of Easter.